Before he became a reggae legend, Jimmy Cliff hit the Pop Charts with Wonderful World, Beautiful People, a #18 hit in early 1970. Born in Jamaica in 1948 (his real name is James Chambers), Cliff had his first #1 Jamaican Hit in 1962 at the age of 14, when Hurricane Hattie (a song about the recent Caribbean storm) topped the charts. He later dropped out of college to pursue a music career and, in 1965, moved to Britain. Three years later, Cliff represented Jamaica in the International Song Festival held in Brazil, and won an award for his composition Waterfall. By now, reggae music was becoming the latest rage in England ... I remember John Lennon stating in a teen magazine interview back in 1966 that he thought reggae would be the next big thing ... and today's featured Forgotten Hit, Wonderful World, Beautiful People hit #6 in Britain. Meanwhile, this is a song that deserves a spot back in oldies rotation ... give it a listen and see if you don't agree ... a nice, uplifting song ... catchy ... easy to sing along with ... and promotes a positive message ... let's get this one back on the air!!! Since we're in a soulful mood, here's another one of my favorites that CERTAINLY deserves a spin every now and then. The group first formed as The Sinceres, an a cappla vocal quintet, back in 1962. Ultimately, they all learned to play instruments and became a full-fledged band, playing the club scene in Los Angeles and the casino lounges in Las Vegas. Founding members included Charles McCormick (who sang, played bass and wrote Natural High), Willis Draffen and Charles Love (both on vocals and guitar), Harry Williams (drums) and Roger Durham (keyboards). When Durham died in 1973, the group carried on as a quartet. In 1975 the group financed and starred in a film musical called "Train Ride To Hollywood". In the film, they performed a number of older tunes, including their versions of As Time Goes By, Toot Toot Tootsie, Yakety Yak and Sh-Boom. According to the liner notes to Rhino's "Didn't It Blow Your Mind" CD Series, the best track was the title cut, Train Ride, "an exuberant celebration of railroading". I'm going to resurrect a few of these from time to time (including this one) today. I've updated some of the information when possible ... and I think some of the jocks on the list might like to feature a few of these on their "Forgotten 45's" segments. R & B quartet New York City was composed of 4 high school buddies: Tim McQueen, John Brown, Edward Schell, and Claude Johnson. They sang for their church and Brown gained professional experience singing with The Cadillacs and The Five Satins. Last week we promised to feature Rick Springfield's debut American Hit "Speak To The Sky" ... but we got side-tracked along the way, doing a couple of other features ... so we had to push ol' Rick back a week. career was in limbo but released in 1984 when Bruce Springsteen's career was going through the roof. But before ALL of this '80's success ... in fact, even before Rick signed on as a regular (and teen heart-throb on "General Hospital") Springfield hit The American Charts with his Top 20 Hit "Speak To The Sky". Coming off of a bit of success "down under" in his native Australia via the pop band Zoot, Springfield attempted a solo career here in The States and released "Speak To The Sky" on the Capitol label back in 1972. It peaked at #14 on The Billboard Chart ... but after that, Rick couldn't buy a hit. Instead, he perfected his acting chops and landed the role of Dr. Noah Drake and the popular soap opera, "General Hospital." Whereas most of his '80's hits have more of a "power rock / power ballad" feel to them, Speak To The Sky almost sounds like a "folk song" ... with a bit of a Dixieland piano and horn arrangement thrown in for good measure. Springfield wrote all of his own hits (except I've Done Everything For You, which was penned by former Van Halen frontman Sammy Hagar). 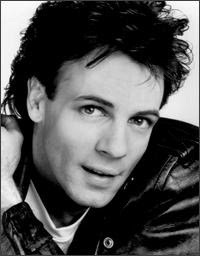 He also starred in the 1984 film "Hard To Hold", which included ALL of his 1984 pop hits. Yep, we're REALLY gonna do it!!! "The Top 20 Guaranteed Gaggers Of All-Time"!!! THIS time we want you to send us YOUR list of songs you don't EVER need to hear again in this lifetime!!! Songs that NEVER should have been the king-sized hits they became in the first place!!! or "Honey" by Bobby Goldsboro ... a FIVE WEEK #1 chart-topper! In order words, songs you JUST CAN'T STAND!!! And create the ultimate "Nostalgic Nausea" Hour if you will! We've got you off to a good start here with five songs SURE to make the list. And keep watching these pages for updates on the countdown.